Would you like to be driven in a car with your own personal tour guide? Then this is the tour for you. Your private guide will meet you at your hotel or apartment with their car. There is no set tour. Each tour is tailor-made to your interests – classic London, children’s London, shopping, history - the choice is yours. Tailor-made tours can be in London for a half or full day, or day tours from London or even multi-day tours around England and the UK. 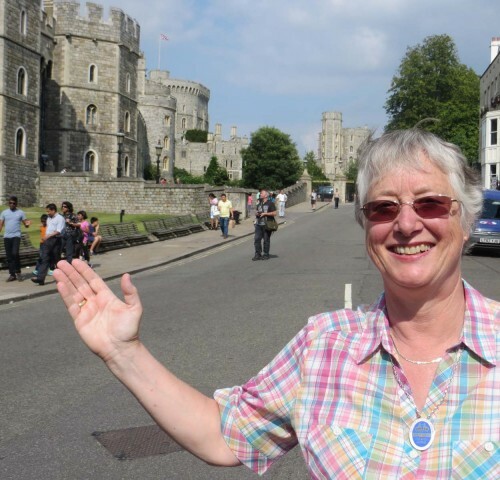 Driver Guide Tours is run by Robina Brown, who has been a guide for over 20 years. She works with a group of colleagues, who are all driver-guides providing bespoke tours. Between them they speak many languages, including French, German, Italian, Portuguese, Russian or Spanish, as well as English. She also works with colleagues in other parts of Britain and Scotland. Your private guide is a qualified Blue Badge tourist guide. Their car is correctly licensed and insured by their local authority. An overview of London or a short visit outside London by car with your own private guide. If you are short of time, this is the tour for you. 2014 was the 70th anniversary of the D-Day landings. Visit Utah, Omaha, Gold, Juno and Sword Beaches, Pegasus Bridge and Pointe du Hoc, and some of the Normandy museums and cemeteries.